Posted on February 10 2019. Written by Yakult. Remember that feeling of nervousness before a big event such as your wedding day or before that big race. Perhaps sending shivers down your body and that feeling of butterflies in your stomach. Have you wondered about why you get that fluttering feeling in your stomach from an emotion? Your gut and your brain are highly connected by numerous pathways in the body, collectively this is known as the gut-brain axis. 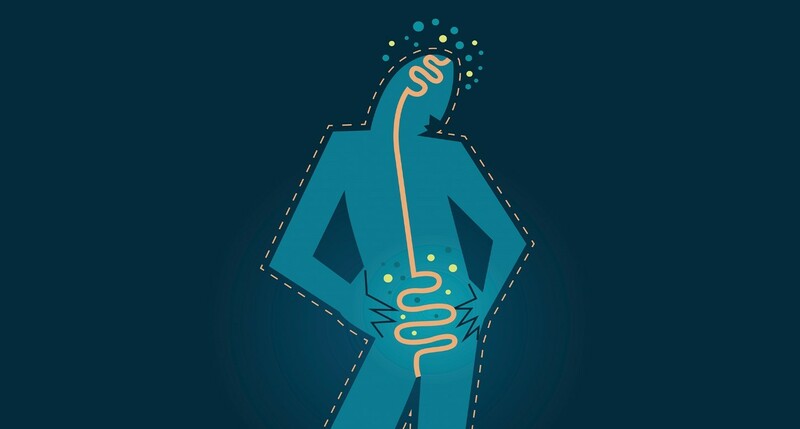 One way the gut-brain axis communicates is through the bacteria in our gut. Did you know that having a high proportion of beneficial bacteria in your gut may be a protective factor against some mental health difficulties? A healthy varied diet including oily fish, fermented foods and high fibre foods may help to increase the number of beneficial bacteria in your gut and research is indicating that this may assist in improving mental health. We should really trust our gut! In the future, maybe when we are thinking about a healthy mind we should also be considering a healthy gut and our gut bacteria too!